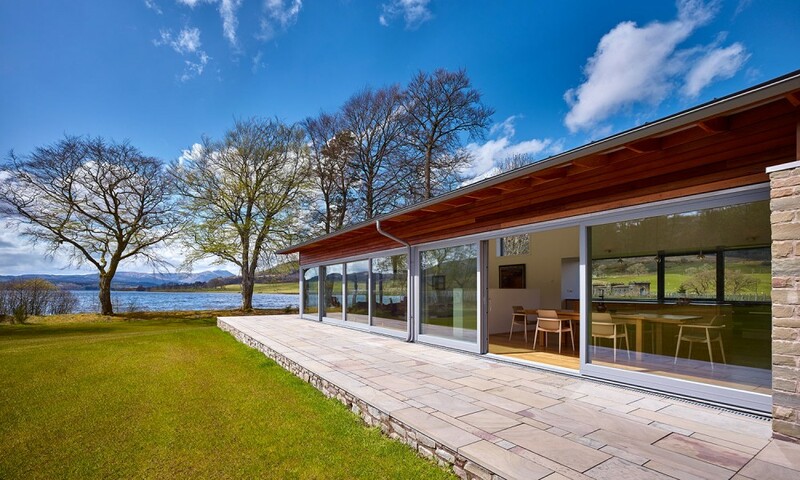 The new house replaces a former derelict Scottish Water property on a spectacular lochside site at the eastern end of Loch Venachar in the Loch Lomond & Trossachs National Park. 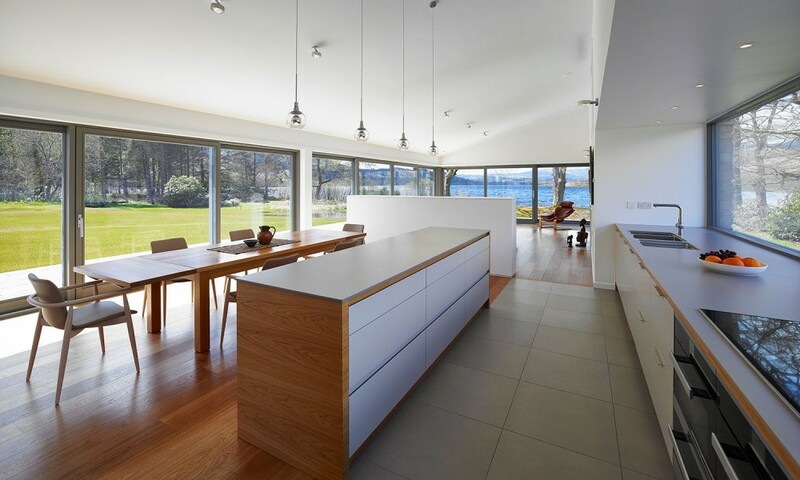 The house is conceived as a single storey radial plan with three wings: garage, bedroom, and living pivoting about the entrance hall. 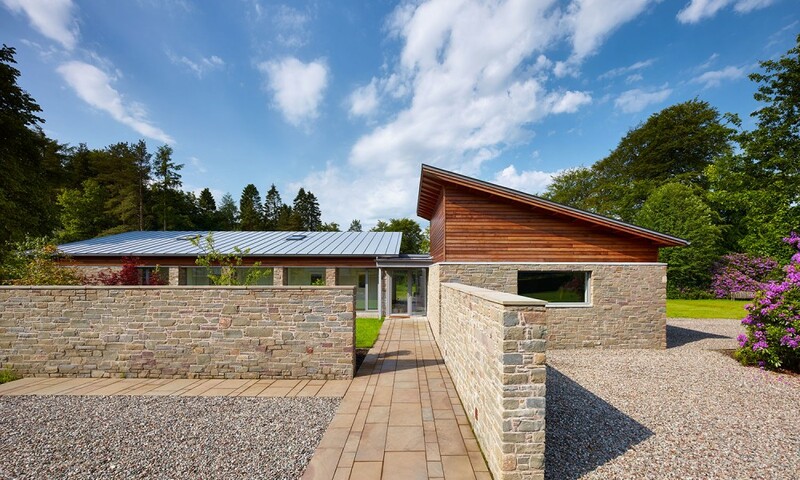 For privacy and shelter a high stone wall defines an entrance courtyard formed by the two wings of the garage and bedrooms. 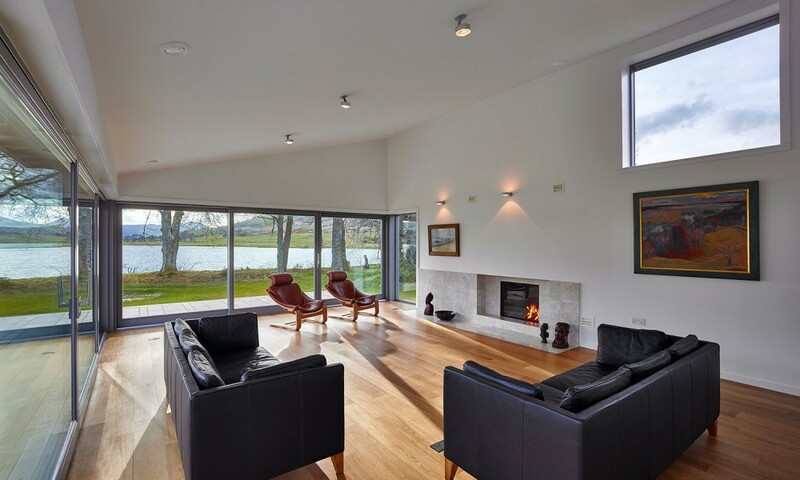 The third wing of the living room is orientated south and set at an angle to enclose the garden on the lochside, and to address the views of the loch. 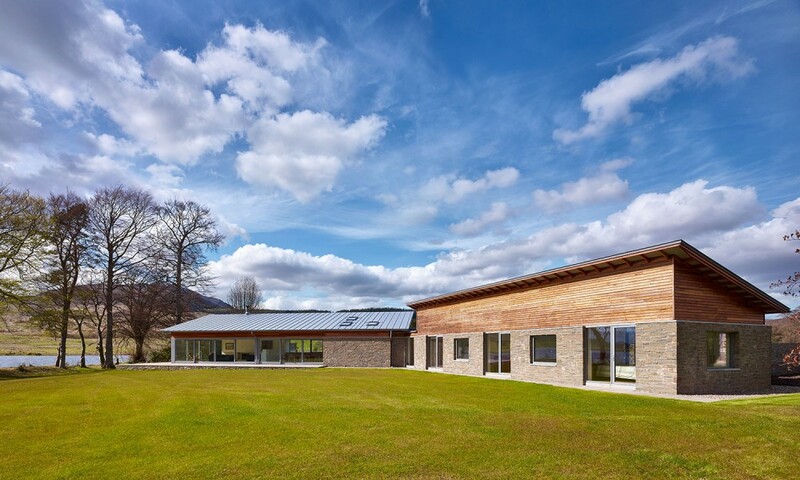 The standing seam zinc roofs of each wing are set at angles rotating in a clockwise manner about the flat roofed entrance hall to provide an animated roofline. 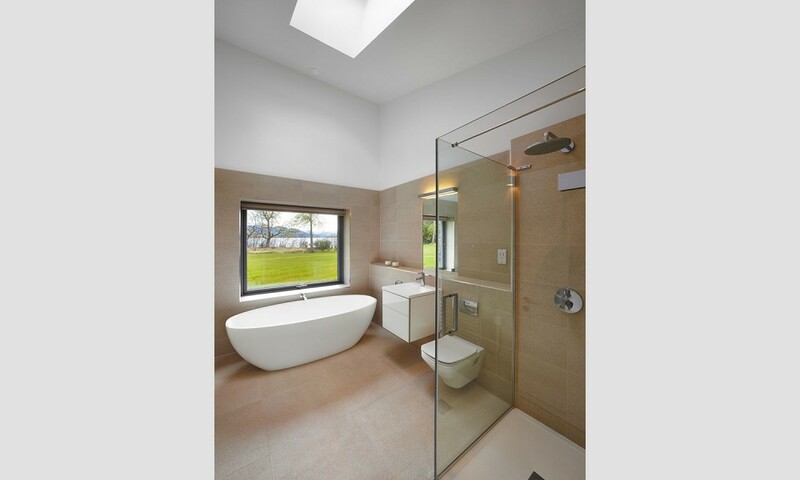 Each roof is cantilevered on all sides so that they appear to ‘float’ and emphasise the horizontality. Walls are finished up to window head height in sandstone rubble from recycled quarry waste. 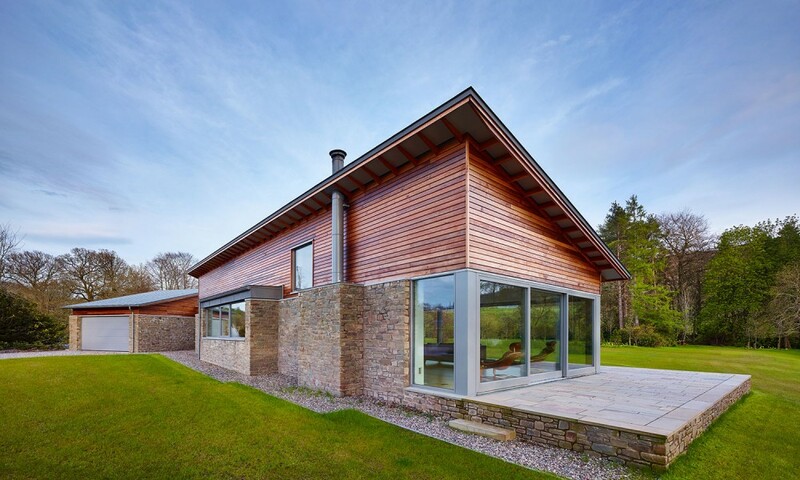 Above this height the finish is naturally weathered horizontal cedar weatherboarding. 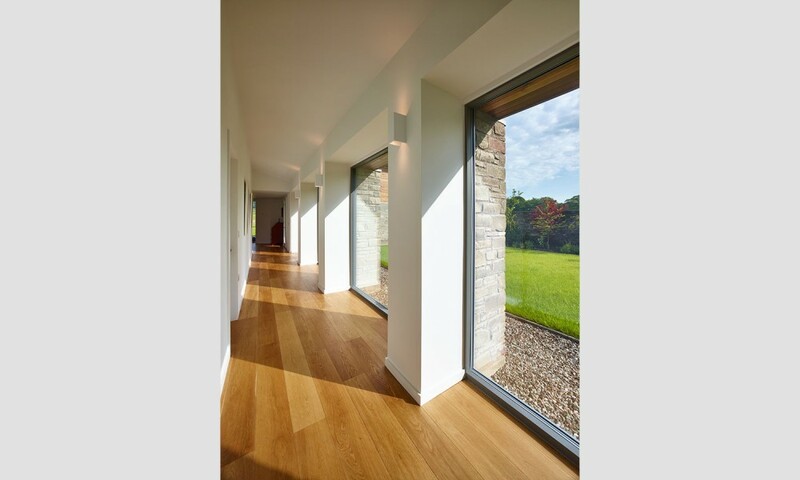 Windows are aluminium clad triple glazed timber. 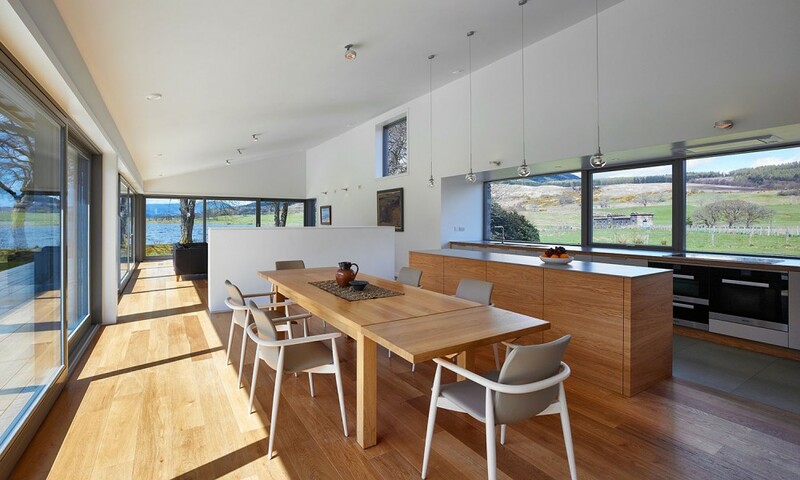 A sustainable low energy approach has been adopted to reduce carbon emissions and energy costs. 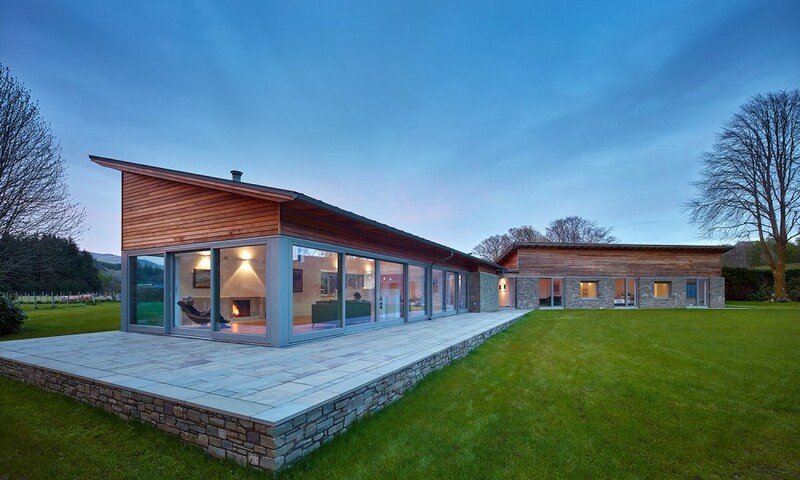 This comprises super-insulation of floors, walls and roofs, a high level of air tightness, whole house heat recovery ventilation, and underfloor heating using an air source heat pump, with a wood burning stove as supplementary heating to the living accommodation.